To celebrate 100 years of service to the Atlanta community, The Junior League of Atlanta, Inc (JLA) announced today three Centennial Grants to local nonprofits totaling $1 million and targeted to assist residents struggling through food insecurity, generational poverty and the effects of sexual exploitation and human trafficking. The Centennial Grants will enable and encourage growth for the next year years in three organizations aimed at helping some of the city’s hardest hit communities. The grants were awarded as part of a year-long celebration of JLA’s centennial anniversary and the organization’s impact on Atlanta. Each grant recipient went through a rigorous, three-step application process. The Atlanta Community Food Bank received a $380,000 grant from JLA, and will use the money to expand its Child Nutrition Programs, which focus on elementary, middle and high school students in Clayton, Cobb, DeKalb, Fulton and Gwinnett counties. The grant will help the Food Bank implement a new School Breakfast Program, add new Summer Meal sites and expand its current School Mobile Food Pantry program, providing an additional 800,000 meals per year to students through these school focused programs. Learn more about the Atlanta Community Food Bank. The Generational Poverty Law Project received a $380,000 grant from JLA, and is a 3-year joint venture between Atlanta Legal Aid Society, Georgia Heirs Property Law Center and the Pro Bono Partnership of Atlanta. With its grant, the partners plan to expand outreach to metro-Atlanta non-profits and collaborate to protect homes and families in metro-Atlanta. In establishing the Generational Poverty Law Project, the collective hopes to use its work in Atlanta to create a national model for providing holistic legal services to multi-generational families. This collaborative approach will help ensure that metro-Atlanta clients of all three organizations receive the legal help and social services support that make a significant difference. Learn more about the Atlanta Legal Aid Society. Children’s Healthcare of Atlanta received a $240,000 grant from JLA. Through its Institute for Healthcare and Human Trafficking, Children’s will follow a public health approach to address the crisis of human trafficking. The grant will be used to provide training and education to healthcare providers and promote evidence-based research on trafficking. 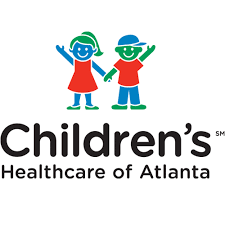 Learn more about Children’s Healthcare of Atlanta.